Folks, I have to say there's nothing that will spoil your weekend faster than finding out your new Congressman just threw you and about a million of your closest friends under the wheels of an oncoming jumbo jet. But that's exactly what Henry Waxman did when he decided to side with the LA Chamber of Commerce and against his own constituents to expand Los Angeles International Airport in a way that guarantees region-wide non-stop traffic gridlock for the foreseeable future. As I reported yesterday, Waxman has been secretly circulating a Chamber letter to his fellow Congress Critters that supports moving one of LAX's runways several hundred feet right smack dab into the path of Lincoln Blvd. If that happens, it's game over for traffic in Los Angeles. Experts say parts of Lincoln and Sepulveda Blvds would have to close for at least 2 years - perhaps even permanently - to accommodate the move. With the only viable north/south alternative to the 405 freeway shut down indefinitely, thousands of cars would be forced onto other surface streets and nearby freeways during construction, creating constant gridlock as traffic backed up onto the 405, 105 and 10 freeways. If you think you pay too much for gas now, you're going love paying even more as you idle uselessly in gridlock, stuck in Endless Carmageddon. If you need to get in your car to go anyplace for any reason in the LA Basin you're going to feel it. Need to get to a job in the South Bay? You're going to feel it. Need to get to the grocery store in Marina del Rey? You're going to feel it. Want to see your friends in Inglewood? You're going to feel it. Trying to get home to the Valley after working in West LA? You're going to feel it too. Waxman told the LA Times he didn't feel "obligated" to tell fellow Congress Critters who opposed the Chamber's position on LAX that he supported tying up our traffic for years to come. Well I guess that arrogance extends to us, his constituents. Because if this hadn't made the papers, we'd still be in the dark. Pick up the phone and tell Henry Waxman to just say "no" to Endless Carmageddon. Tell him you support LAX modernization without moving the runway and choking us with permanent gridlock. A jumbo jet lands on the LAX north runway. If the LA Chamber gets it's way, the runway will move several hundred feet further north. Construction could cause "endless carmageddon" in the region for years to come. This weekend, Congresswoman Maxine Waters declared war on fellow Congress Member Henry Waxman over LAX expansion, telling her constituents Waxman was working behind the scenes with an "unholy alliance" of the LA Chamber of Commerce and organized labor to expand Los Angeles International Airport - a move that some experts believe would create region-wide traffic gridlock. Addressing a meeting of the Westchester Democratic club on Saturday, Waters told constituents Waxman secretly circulated a letter from the Chamber in support of LAX expansion to Congressional colleagues only a day after telling Waters he had not yet made up his mind about the issue. Waters, who represents the communities directly surrounding LAX supports modernizing, but not expanding, the airport. 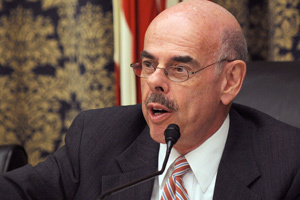 Maxine Waters Goes To War With Henry Waxman Over LAX Expansion from Marta Evry on Vimeo. The Chamber is promoting a plan which could expand capacity at LAX by up to 14 million passengers a year, and is advocating moving the North runway several hundred feet, a move some experts say would force the closure of parts of Lincoln and Sepulveda Blvds for at least 2 years, and perhaps even permanently. Such closures would force thousands of cars onto other surface streets and nearby freeways, creating a near constant "carmageddon" scenario as traffic backed up onto the 405, 105 and 10 freeways, potentially affecting commuters as far away as Orange County, the Valley and Downtown Los Angeles. The move is also backed by many of Los Angeles' biggest labor unions, who see expansion as a job-creating engine for the region. Airport opponents say a multi-billion dollar plan to modernize the airport without moving the runway would create as just as many jobs. In a highly unusual move that signaled just how seriously Waters took Waxman's end-run, Waters very publicly threatened to take the fight to the Congressman's own district, calling into question Waxman's motives for being the bag man for an "unholy alliance between organized labor and the Chamber of Commerce"
"Now I can't say this is why Mr. Waxman is doing what he's doing," said Waters. "But these are the two places they go for money - the Chamber.....and organized labor. And so some of these elected officials don't feel they can be independent and fight. They say, 'Hey, you know, this is too difficult, after all, they've come together on this issue'." Waters then encouraged her constituents in the room to reach out to their counterparts in Waxman's district. "I want you to find all the community activists in his district and ask them to join with us. I want them to call him and tell him to get his nose out of Westchester's business. He's thinking, 'Well, it's not my district, so I don't have to worry about my constituents on this issue. I can do what ever I want.'" "But we have to turn that around. Get busy. I will remind him, every day, that we're after him. ", Waters said, smiling. Waters strategy, though unusually pointed and public, might be effective. Last November, Henry Waxman faced the fight of his life when he suddenly found himself representing the beach cities on either side of LAX due to redistricting. Rather than cruise to victory virtually unopposed, as he had nearly every year since he was first elected to Congress in 1975 to represent constituents in Beverly Hills and Santa Monica, the 17-term Congressman narrowly fended off Manhattan Beach resident Bill Bloomfield. If you don't know where your polling place is, go to http://www.lavote.net/LOCATOR/ and type in your address to find out. If you're still holding on to your absentee ballot, DON'T MAIL IT BACK. It won't get there in time. Instead, fill out your ballot and take it to ANY polling place in the city of Los Angeles and just drop it off. You don't even have to stand in line, just march right in and put it in the ballot box. 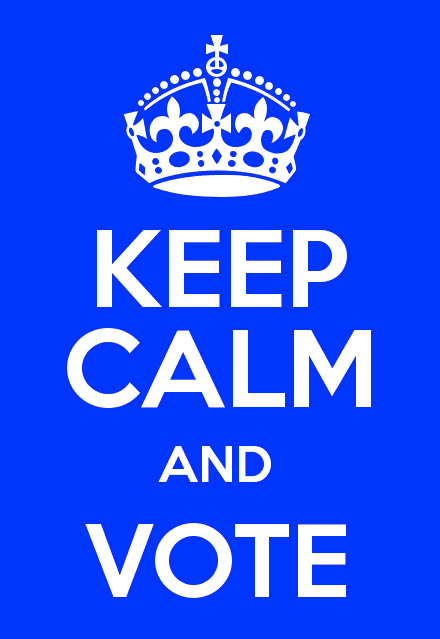 Click here to find a polling place. Now that we've gotten that out of the way, here are the Venice For Change endorsements for the March 5th Los Angeles Municipal elections! 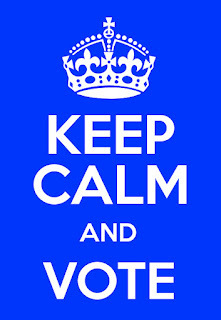 Just print this up and take it with you to the polls! See that little © symbol? It means ask before you touch. 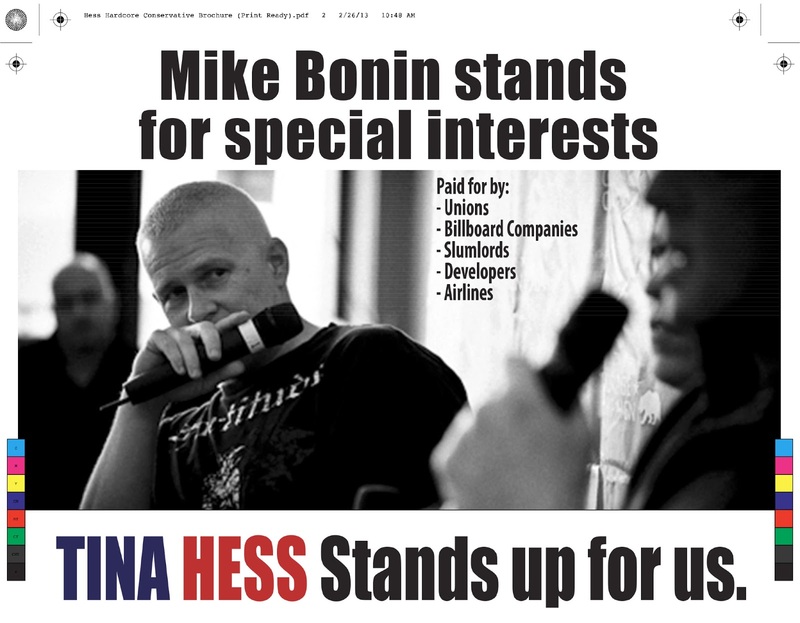 Since posting a story Friday on how CD11 candidate Tina Hess had committed a bit of an ethical boo-boo by using my copyrighted photos in her campaign literature without my knowledge or consent, things have taken a turn for the weird. 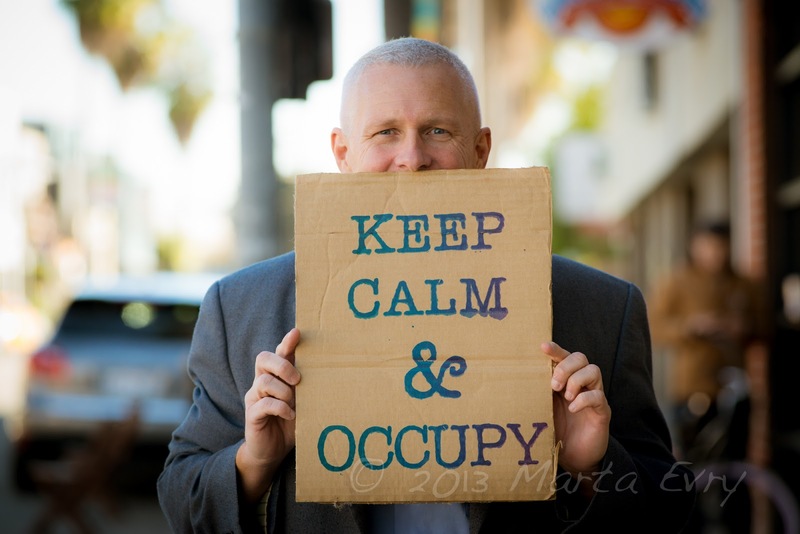 @venice4change @tinahess2013 I cant find a pic of Mike Bonin online that you didn't take. Kinda limits their options. Groupie much? @venice4change @tinahess2013 I found 10 copies of both of those pictures being used elsewhere on the web. Did you report those too? When I asked Mr. Furey for links, I got nothing but crickets in response. Here's a link to what you get when you type "Mike Bonin" into Google Images. A dollar for anyone who can find 10 copies of the photos misappropriated in Hess' mailers. But here's the thing - it doesn't matter if my images of Mike Bonin appear in a hundred places on the web, as long as they're being used with my permission, or being used under "fair use". 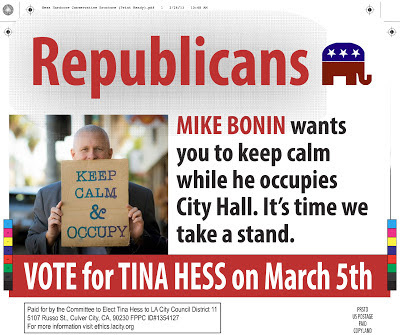 Neither of which is the case when it comes to Ms. Hess' mailers. This seems to be a concept beyond the geniuses at Liberty Campaign Solutions. Perhaps by the time the LA Ethics Commission finishes it's investigation of the complaint I lodged against their client's campaign, they'll be able to turn this into a "teachable moment". Until then, if you're a potential candidate looking for competent campaign management, you might want to think twice before using the ethically challenged Patrick Furey and Liberty Campaign Solutions. I just got off the phone with Mr. Furey, who clarified his firm, Liberty Campaign Solutions, was hired just to mail out the campaign flyers, not design them. According to Mr. Furey, that honor belongs to his former partners at Veritas Campaigns LLC. And indeed campaign records show Hess paid Veritas around $21K for their stellar work. "Hey, we'll take the photos off the opposition's website, he'll look like a jerk if he complains!" Here's the problem with that - if your opponent doesn't have an in-house photographer, or they're just licensing the images for that campaign or borrowing them with the photographer's permission, then you're SOL, because the photographer doesn't care if they look like a jerk, they just care that their work is being stolen and used in ways they never authorized. This is why candidates should never just grab random images off the web, why you should source everything, and why you should pay for what you use if a fee is required. It's Due Diligence 101, and the chuckle-head on Hess' campaign who thought this was a good idea needs to have their knuckles whacked in small claims court. You know what they say, if you're going to steal, steal from the best. 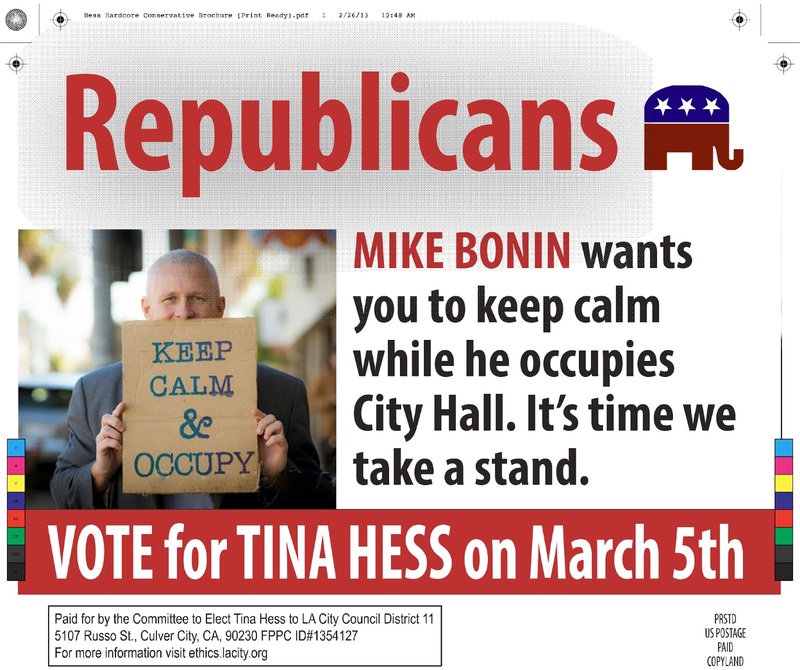 And that's exactly what LA City attorney and CD11 candidate Tina Hess did - steal that is. 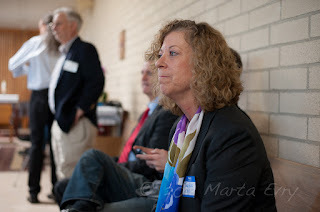 I've never spoken to Ms. Hess, and it's no secret I support (and have endorsed) one of her opponents. So imagine my surprise when two of my copyrighted photos showed up on an attack mailer her campaign sent out to Republicans in the district today. You would think 25-year veteran of the LA City Attorney's office would have a better understanding of copyright law, but apparently not. I've contacted the LA Ethics Commission. They will be opening an investigation on Monday. Jan Perry attacks Wendy Greuel for not being an in-utero Democrat, Greuel attacks Eric Garcetti for making $1.25 off an oil-lease that's never been used, Garcetti attacks Greuel for fudging her numbers, Gruel attacks Perry for fudging her personal finances, the lone Republican candidate Kevin James accuses both Garcetti and Greuel for being grave robbers and long-shot candidate Emanuel Pleitez is literally running around like a chicken with his head cut off. With 5 days to go until the March 5th election, silly season has officially arrived in the race to be Los Angeles' next mayor. Although conventional wisdom says it'll be Garcetti and Greuel in the runoff, the candidate's behavior this week indicates they think the race may be more of a tossup than is being reported. So with independent expenditures reaching into the stratosphere and voter turnout descending into the basement, candidates are clawing for any advantage they can get. So far, independent groups and SuperPACs have poured more than $3 million into the LA mayor's race, $2.5 million of that in support of Wendy Greuel - with the lion's share coming from Working Californians, a SuperPAC formed by IBEW local 18, the union which represents over 8,000 employees for the Department of Water and Power. Pretty funny stuff. Garcetti may have a musical background, but a great singer, not so much. The added mic feedback is an especially nice touch. And it would be a pretty standard attack ad - except for one thing - the footage of Garcetti came from a 2011 charity event at the Garden Crest Rehabilitation Center in Silver Lake. He was singing to Alzheimer's patients. Garden Crest is (Pay It Forward Volunteer Band founder) Gary Gamponia's model nursing home. The staff cares. The schedule is varied and full. They welcome outsiders, and on this day, even L.A. City Councilman Eric Garcetti pays a visit to take a turn on the keyboards and sing. A few years back, Gamponia, who has mostly earned a living selling insurance, tried to create a cooperative that would help musicians out and then have them return the favor by performing at community events. He lent equipment, negotiated deep discounts on instrument repair and drove people to gigs when their cars broke down. But the giving was one-way, he says. 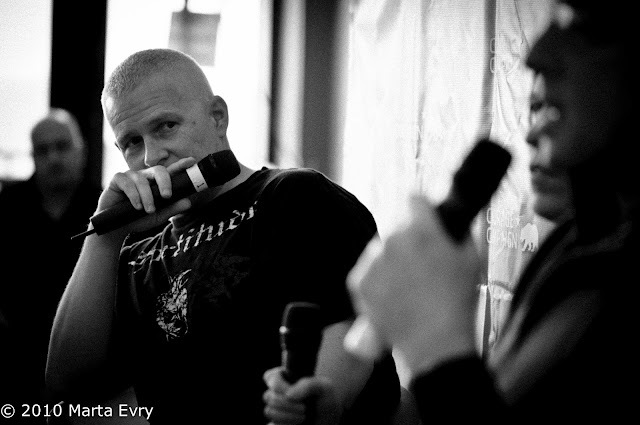 Then, around Christmas 2009, he had a simpler notion: Why not just form a band to bring music to the places that could use it most? He called the office of his councilman, Garcetti, for ideas and got the names of several nursing homes. And he enlisted a ragtag band of old friends and new acquaintances made on Craigslist. So welcome to silly season in the LA Mayor's race. Where anything can and will be held against a candidate to be used in the court of public opinion - even singing to elderly Alzheimer's patients at Christmas.